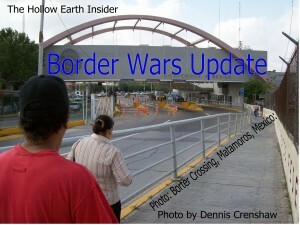 Featured Image: Brownsville, Texas – Matamoros, Mexico Border Crossing. CREDIT: Dennis Crenshaw. President Obama‘s failing gun control campaign peppered the air waves with the slogan “If we can save just one life.” However, when it comes to the estimated 17,000 annual deaths from illegal drugs flowing over our porous southern border with Mexico, the President is remarkably silent. President Obama’s four years of border control failures have led to the deaths of tens of thousands of American men, women and children.